3. 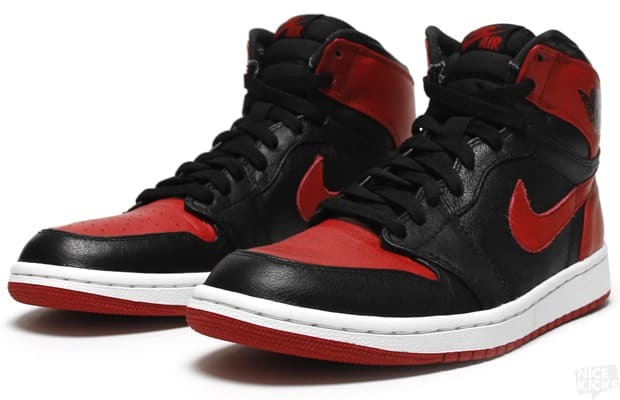 Air Jordan 1 "Banned"
Joe says: "Quality leather on a Jordan 1 is both simple and genius at the same time. Awesome concept to me, and the fact that the materials used were top-notch made these a must. I had my best friend Rudy try and get me a pair at the outlets when they released to no avail. I paid double retail and would do it again for a second pair. Also a sneaker that went through the 'Kanye effect' when he was getting flicked up in them at Fashion Week."